The Everett Utilities Water Assistance Program is a partnership between the City of Everett and Catholic Community Services. 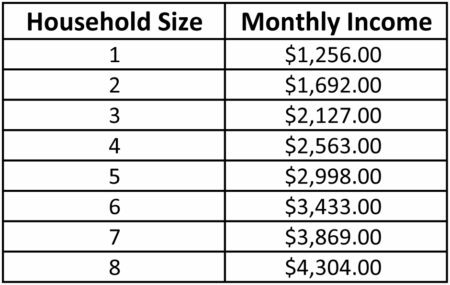 It is designed to be one-time assistance for Everett Utility customers who have received a water shutoff notice and are at or below 125% of the Federal Poverty Level (see table below). If you have received a water shutoff notice from the City of Everett (the yellow door hanger) and have a household income of less than 125% of the Federal Poverty Level, please contact the Everett Utilities Water Assistance Program line at (425) 374-6394. Staff will be present on Mondays, Tuesdays and Wednesdays to answer this line and return any voicemails. This phone will be staffed on Mondays, Tuesdays, and Wednesdays. Messages left at other times during the week will be returned during staffed hours.